Lately I’ve been trying to pinpoint exactly why I game. Some people play for the challenge, but that’s not the draw for me. I think the reason I keep returning to games is that there are few things in life quite as satisfying as spending time in a fictional world where we are able to be heroes. That’s what children do when they play make-believe. And that’s what we adults do when we play video games… right? This brings me to one of my favorite episodes of Star Trek: Deep Space Nine — and my favorite bit of Star Trek tech, the holodeck. The episode “Our Man Bashir” takes place almost entirely in a holo-program that Dr. Julian Bashir has been escaping to during all of his free time, apparently. The program casts him as a suave spy — an obvious James Bond type — taking down bad guys and getting the girls. But when Bashir’s real-life friend Garak bursts into the program, Bashir is upset. This is a private program, and Bashir feels that Garak has invaded his privacy. It’s almost as if it’s embarrassing to play the hero with such abandon. It’s naive. It’s silly. It’s not anything like real life, and it doesn’t seem to solve any real world problems. Being so immersed in geek culture now, it’s hard to remember a time when gaming was a secret passion you didn’t want to talk about with others… but there are non-gamers who find it strange that adults would part with so much of their valuable time to play make-believe in video games. But maybe they have their own ways of playing the hero. To return to the DS9 episode, members of the Deep Space 9 crew become trapped as characters in the holo-program (without realizing it), leaving Bashir and Garak to play along in the holosuite in order to keep them alive. This is a fun twist, as Bashir goes from playing secret spy in the holosuite to saving the day in real life… by playing secret spy in the holosuite. This could be a sore spot for some gamers, I’m sure. But Bashir wins out in the end, saving the day in real life with his play-acting in the fictional world of the holo-program. His solution requires quick thinking, creativity, and the balls to make selfish decisions sometimes — but all for the greater good, of course. Until we have holodecks, we have video games to let us escape the limitations life sometimes imposes on us. But it’s not about turning our backs on our problems — it’s about finding new ways of facing challenges. Sure, not all video games are about heroes, but when they are, they help us tap into what heroism is and what selfless feats we’re capable of accomplishing. I believe the world is filled with real heroes, and it’s always good to keep that potential fresh in our minds — sometimes through gaming. Still, there is one thing that I believe you’ll like, and that tries to reply to that question : “Why do we game ?”. It’s a song, created by gamers (well, IGN), for gamers, and that I believe is a very good way to express our feelings towards gaming. Here you go : http://www.youtube.com/watch?v=wBzqOa9y02I (The World is Saved). Also, I have one question for you : you talk about heroism in videogames, so, which game would you say made you feel the most “hero” ? And, on the opposite, which one made you feel the least “hero” ? (yep, tricky questions, I know). As for me, the most hero : Dark Souls (PS3). The least hero : Shadow of the Colossus (PS2-PS3). Thanks for the link to that song, amazing!!! I love it. Glad you like that TED video too. I saw her other talk as well, about video games and healing, which is really interesting. Ahhh examples. My favorites where I get to play my own heroic character are Dragon Age: Origins and the Mass Effect games. In other games… Batman: Arkham City and Zelda games! And Final Fantasy XII, one of my first loves when it comes to games. The least would be… maybe Red Dead Redemption. There are a lot of games where I feel like a badass, but my character isn’t really a hero, you know? Interesting you mention Shadow of the Colossus as least hero, because that’s one that would be on my heroic side. There’s nothing quite like taking down an enemy 10 times your size by finding its weak spots, all alone with just your beloved horse.. But it’s interesting that we all have different reactions to games. Some we enjoy but don’t play for the “hero” factor, while other games are all about the heroic questing. Because of your previous posts, I was expecting DAO and/or Mass Effect to be your first answer ;) I’m quite surprised for Red Dead Redemption, but I understand it. As for SotC, I gotta say, I’d put it in both categories. Sure, there is a clear heroic feeling from the first notes of the very first song (and, oh god, what a song ! ), to the point where you finally achieve to defeat your first colossus. But, then, everything becomes… “Bad”. I feel awful killing something so majestic as a colossus, for my own purposes. It’s something the devs also tried to pass through the game, and the ending kinda emphasises that. Anyway, here’s another one that definitely made me feel “bad” about myself (or, rather, about my character) : Spec Ops : The Line. Ahhh that’s a good point about Shadow of the Colossus! It’s interesting your friend put it down after killing the first colossus; I’m sure that speaks to the game’s emotional power, too. I love the storytelling in that game, and the ending is so emotional. It’s strange, but I still feel like that is more of a heroic story than Red Dead Redemption’s — at least in terms of the emotions and sense of purpose I felt as I played. On a related note, I also appreciate stories where heroes fall sometimes. I haven’t played Spec Ops: The Line yet. Now I’m curious what the story is like! Personally, I’m not big on war game-type shooters (and they’d be the least heroic to me, in some ways), because I don’t usually get emotionally involved in them. I also prefer linear stories that make me feel more heroic, rather than open-world games where the consequences aren’t quite as clear. Having extra “fame” or being called “Dragonborn” wherever my character goes doesn’t make me feel like a hero — but a good, well-woven story does. You make some wonderful points here (and McGonigal’s TED talk is pretty fantastic!). There really is nothing quite like saving the universe, or the princess, or saving yourself (I’m thinking Red Dead Redemption here…to a point) in a game. To a certain degree, playing the virtual hero allows us to tap in our own humanity, which then spills over into real life. Not that gamers need to necessarily go out and literally save people; but there’s nothing wrong with being instilled with a little extra pride and self-esteem. Little bits of that go a long way in real life heroics. Yeah, I think you nailed it! And let’s face it, some days the most heroic act we can do in our daily lives is, say, volunteering to make the toilet paper run at 9 PM when we really don’t want to. Nothing wrong with that, but it’s pretty cool to immerse ourselves in such epic stores that let us take even bigger heroic actions and, like you said, tap into our own humanity and what we’re capable of, etc. And I agree it can definitely be a boost to self-esteem, too! For me specifically, it’s not so much the heroism as the adventure, choice, and immersion. I love reading too but that can drag since there isn’t that same level of interactivity and it can be even more taxing on my mind when I don’t have the visual aids freeing up resources to concentrate elsewhere. I agree. When I explain to people who don’t game why I love video games, I liken them to books but then highlight how much more awesome games can be, because of the interactivity and level of immersion! But I also agree that some games, for me, are more about adventure, choice (that’s a big one that I love), exploration, and just getting involved in a really good story, even if it lacks brash heroic acts. But my favorites have always been the hero stories. I like heroes and the potential of stories to be inspiring interests me greatly. So for that, and from this perspective I love your article. I’ve also started watching DS9 recently and I’m enjoying it a lot more than I expected. So many great themes and intriguing characters! But I can’t be a hero in games, and especially not in Bioware RPGs. I tasted the dark side in Knights of the Old Republic and I’ve been trapped in a downward spiral of evil since then. I tend to get cynical when random characters I don’t even know want me to run through half the galaxy three times for nothing really and reward me with +2 points to Reputation. So the choice to be scum is just so darn refreshing. It’s also a power trip like no other. I mean, sometimes it breaks my heart to do the stuff that the evil paths require, but role playing is role playing! And all the wrong decisions as well as senseless executions stay with me long time after playing. I ruin the virtual worlds and it makes me care for them a lot more because of that. Then again, I’m glad to read that you find the hero paths exciting and inspiring. It’s one of the greatest aspects of video games that they can be different things to different people. I also loooove playing the “renegade” character! That’s usually my go-to personality choice in BioWare RPGs, but what’s interesting to me about Dragon Age: Origins and Mass Effect in particular is that you still play a heroic character, even when you go full-on renegade. In a way, that’s limiting our role-playing a little bit… but I also appreciate that it’s all part of the hero’s story the writers are trying to tell. Anyway, I’m glad you’re liking DS9 too! I’m going to be doing more DS9 posts soon, because I’m finishing up the last seasons now. I agree that the characters and themes are fantastic… and it only gets better in later seasons! That is a good point about always playing a heroic character, even on Renegade paths. The quest is to save the world, after all. The results of your action may even be positive in a lot of ways, but I believe the methods count too, and Renegade methods are quite unheroic. This “my mission is the most important thing in the galaxy and I don’t care how many people will die along the way” motto is rather villainous. And I had to break out of character on a number of occasions when I didn’t want to kill a character (because I liked him/her). That’s true, who doesn’t like a good book or movie in which good triumphs over evil? =) It comes down to good storytelling, too. There’s a reason the “hero’s journey” is so satisfying, whether it’s presented in a video game, a book, a movie, or some other form! Haha I do like playing the “renegade” type too! I totally agree that part of the fun of gaming is escaping the daily grind to take on a new, virtual role. It’s fun to accomplish something out of the ordinary, even for pretend. I wholeheartedly agree with everything you’ve said in this post! I’ve learned a lot from video games and not just as a kid about heroism, friendship, loyalty, morality and many other values. Sure, those values were important to me anyway, but in normal life you’re not often confronted with as wide-scale decisions as you often encounter in video games and in that sense, I feel games can make you think more deeply about issues you might not consider in your day-to-day life. 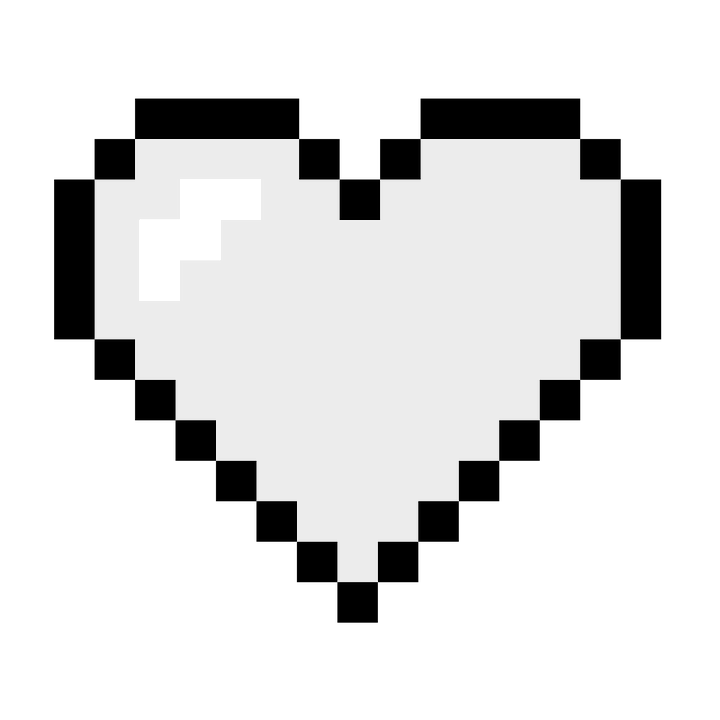 Gaming has definitely helped shape who I am and even if it sounds cheesy, I really do think that playing certain games has made me a better person. I think that’s a part of gaming that people often overlook, because the media has, particularly in recent times, been so focused on violence and other aspects of games that they perceive as negative. Personally, I think there needs to be more studies and articles on how games can have a positive influence on people, both young and old. Games definitely aren’t just for kids and the people who believe that are really missing out, I think. That’s such a good point — not enough attention is paid to all the things games can teach us. I mean, we DO get studies about how gaming can help our brains in certain ways… but games can also teach us about self-sacrifice, boost our self-confidence, help us with decision-making, etc. Like you said, games can make us think more deeply about certain issues. And I totally agree that gaming has made me a better person in a lot of respects, too! Good article. Definitely one of the reasons I play games. Some are for the challenge. Some are even for the story, but I prefer games that really involve me more from a gameplay standpoint. But the grand adventures and playing the hero is definitely a big reason. I will say this, I vastly prefer being the hero than the bad guy or anti-hero type. I know some games give you the choice and I always go the hero/good route. I sometimes replay and go the bad/evil route just to see story changes and the like, but I don’t enjoy it nearly as much. Yeah, I totally agree that my favorite games let me feel involved more, putting some of myself into the character I create or manage, etc. But like you said, different games are played for different reasons. Often when I replay a game, I’m playing less for the story (since I know it, usually) and more for a new challenge as I crank up the difficulty, etc! I kind of get what you’re getting at. When I write, I sometimes put myself in the role of the protagonist. It’s not childish, it allows me to really let myself go and create an awesome story. That’s my theory, anyway. That’s true, writing is maybe the only other way to get into a character’s head (and create characters) like a video game lets you! Yes! That’s actually something I hadn’t really thought about before, because I don’t play a lot of MMOs, but that is so true. I could totally see those leadership and teamwork qualities coming out when you organize and game with others. Thanks! I’m going to check out your post now! Agreed totally. There’s nothing wrong with some measured escapism, and there’s nothing wrong with dreaming of being the hero. In fact, we’ve always done this, since the beginning of time. When people sat down thousands of years ago to hear the Iliad recited, how many imagined themselves in the place of all those great heroes fighting each other? How many people today mentally put themselves in the place of a heroic movie character as they leave the theater? It’s not a new thing at all, and it’s not even childish – it’s just human. Thanks for your comment. That’s such a good point. Some of my favorite movies and books I love for their heroes — and for the chance to see the hero rewarded. What’s very cool about gaming, I think, is that we are able to put ourselves in the hero’s shoes more than ever through interactive role-playing. But it’s true that humans have always idolized heroes in all kinds of storytelling mediums, and like you said, there’s nothing wrong with measured escapism. Gaming is like dreaming in the day (day dreaming), and it allows your mind to believe that it can do the impossible. That and your subconscious doesn’t know how to distinguish between reality and fantasy, which also makes gaming much more appealing. I wonder if you have heard of the Occulus Rift and what you think of that. The reactions from people online are something else.. Yes! I hadn’t thought about gaming like daydreaming, but that’s a great point. Who doesn’t spend some of their childhood play-acting or daydreaming about being Hercules or Mulan or some other hero? It’s cool to be able to do that with gaming even as an adult. I completely agree! When people who don’t game ask me why I play video games, I liken them to movies, TV shows, and books — only I say that games are even more fun sometimes because they’re interactive! Some people seem to fear that the level of immersion and interactivity will replace real life too much, I guess. But we all need an escape sometimes. I also love the music in games… and the lore, storytelling, and artwork, like you said. There’s so much to appreciate. Thanks for sharing, I’m glad I found your blog through Freshly Pressed :) All the best! I believe gaming is a getaway for some. I for one would rather indulge myself in a hour long game of League of Legends rather than taking the time to shower and change just to go out. My parents criticise my hobby being playing video games as they believe it might lead to bad habits. While this may be true that I could be spending my time on things that are more worthwhile, my brother on the other hand spends the same amount watching TV shows. However since TV shows are more accepted in the world of the adults as they have access it too, they believe it is more ‘worthwhile’ to spend time on it. I may not be one to define what is worthwhile and what is not. But I firmly believe playing video games has created a memorable childhood for me and still is continuing, it should not be looked down upon by adults and school peers as a past time. Yeah, that’s the thing — gaming IS the equivalent of watching a TV show or movie at the end of a long. It’s a break from life, a form of escapism, and sometimes a way to enjoy stories or feel a sense of accomplishment — all good things. I guess some people fear that the interactivity of video games will replace real life too much and make gaming too much of an obsession. I can definitely see that potential, but as you point out, most of us gamers just choose to spend our time playing video games instead of engaging in some other form of relaxing. Personally, I really do think gaming is worthwhile. I’m passionate to have gaming as a hobby of mine. It’s wonderful to see how rapidly eSports is growing in the world despite current issues like nuclear proliferation and large scale wars. It’s bringing different parts of the world together and that’s always a plus for the worlds economy as a whole when international trade is improving. I really hope eSports continues to grow not only in the direction of real time strategies such as Starcraft and Dota but in all categories of video games. Great piece. Sometimes alot of people play video games to escape the stresses and problems of real life. They find peace and feel comfortable to break out of their shell and explore themselves. Whats the difference between sports and gaming anyway ( as I love both). They both teach characteristics of preserving, good morals, and friendship in their own unique ways. We all have to be our own hero in our own ways. We all need role models of heroism in whatever format or stories. When we are children, we always want to play a role, and games are an extension of that. Also, my brother would be very happy about your Deep Space 9 reference. I love the notion of getting a ‘hero’ fix or bump to our altruism through gaming. I do question my own attitudes because I don’t see how that fits in with playing Modern Warfare multiplayer everyday. I don’t really pretend I’m some elite special force dude stopping the terrorists. In fact, sometimes you want to be the ‘bad’ guy. I suppose Carl Jung would say that video games allow us to explore our Anima and Animus and even our Shadows. The archetypes found in video games are more than he could have imagined in his day. Perhaps as a quest, a journey through the collective unconscious, video games are giving us the ‘whole’ experience. At the end of the day we get one more piece leading to the Gestalt. I am in total agreement with you. Not only do you have this ability to be a hero in a virtual reality, there is also the social aspect that comes into it. Be a hero with your friends online, even make new friends. I played World of Warcraft for 4 years, and ended up dating someone I met through the game (for many years even after we stopped playing the game). A great post about being a hero in a virtual real can help to be a hero in the real world. However, it uses a few geat episodes of Star Trek Deep Space Nine to make the point. A great blog article that I had to re-blog! Great absolutely great… I feel in all games, one way or another we are the hero. I could never hit a walk off homerun for the Red Sox but on my exbox, I can. The reason why I play video games is similar. Sometimes I just let my imagination roam free while playing. Totally engrossing myself into the other world.